Why have two gardens, and why hide them both in the backyard? 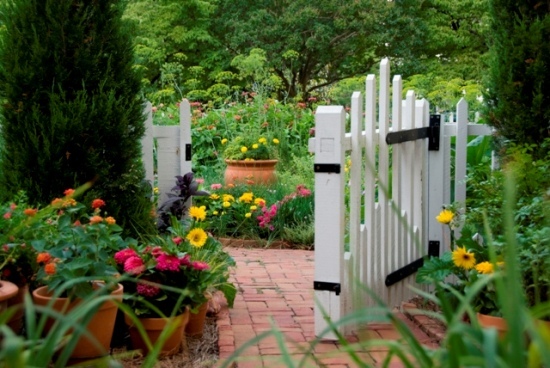 More than six years ago, Joe and Linda Hertzler not only decided to mingle their vegetable and flower gardens, they put both in the front yard just behind a picket fence and arbor. “The garden welcomes guests and puts them at ease. It’s a little whimsical, and a little nostalgic,” says landscape designer Joe Hertzler of Hertzler and George. The unusual garden arrangement hasn’t escaped the notice of Better Homes and Gardens Magazine, which photographed the Hertzlers’ College Terrace garden in July 2008 for an August 2010 story. My first and most important tip? Love your plants! I treat my plants like my babies—would you forget to feed your child? Would you step on it, let it dry up? Secondly, soil is key. Have your soil tested and get the Ph correct. And mostly, add lots of worm poop. Lots of worms mean healthy soil. Third, find a way to give back to nature with your garden. Add a bird bath, a broken pot for a toad house, flowers for butterflies and bees. Adding nature is like adding living art to your garden. You will have so much more fun being in and watching your garden. Fourth—this probably should be first—add architecture. A few pretty flowers are lost without a beautiful backdrop. Put your money and energy in defining your space. Add a fence or evergreen shrubs as your walls. Lay stones, broken concrete, and straw, whatever as paths. Fifth, get a back pack weed sprayer. When I turned 45 my husband asked me what I wanted for my special birthday. Most ladies would ask for jewelry. I asked for one for a backpack herbicide sprayer like the one our guys use at the office. I love that thing. It is so easy to use and to keep weeds under control. Lastly —and this helps immensely —marry a man who owns a successful landscape company! I love to sneak over to the office yard and take left over stones. Most of my shrubs are orphans and rejects from customers. I am known for bringing plants back to life that customers forgot to water or no longer wanted. Our guys have done an amazing job of building all the architecture in my garden, but I do all the planting, weeding and maintenance myself. 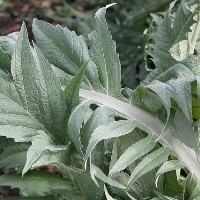 Cardoon- If you love hummingbirds and bees you gotta get one of these. It has sort of a big thistle like flower. My good friend Patricia lovingly brought me a baby cardoon one day that she had bought at the Williamsburg Farmer’s Market. I didn’t know what to do with it. So I stuck it in the ground. It grew over 7 feet tall this year. Giant zinnias- The gold finch love these. 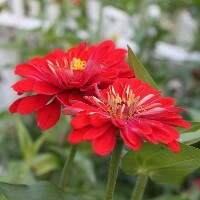 I can watch those beautiful little birds for hours as they pluck the petals and seeds from the zinnias. Also, the giant 3 to 4 feet variety hides most of my veggies from the view of the street. 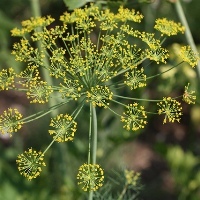 Dill- the black swallow tail butterflies lay their eggs on my dill. I let the birds eat some of the caterpillars and others are rescued by my daughter. She raises the caterpillars in a big container and sets them free when they hatch. 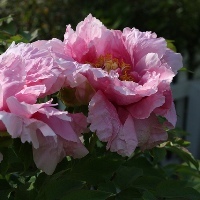 Peonies- I have lots of these in the spring. I just love them. They are so beautiful and romantic. 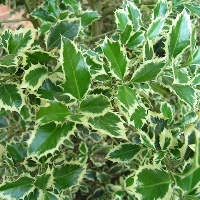 Variegated English holly- My favorite anchor plant. I have two flanking my front door. I love anything variegated. But, this is my favorite because it adds year round interest. If you can get it a boyfriend—it needs a male for pollination—you will have gorgeous red berries in the winter. It is my favorite Christmas decoration. 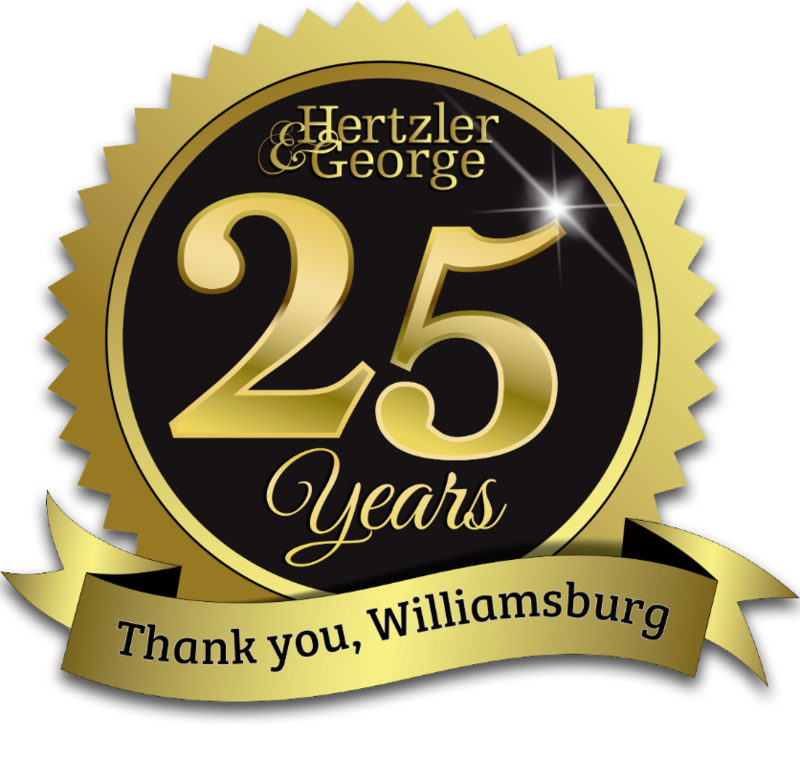 Hertzler and George is best known for its environmentally conscious and sustainable landscaping and design, which employs flowers, shrubbery, and grasses native to the area. 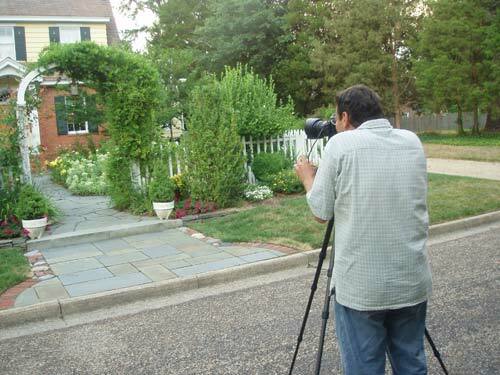 To see more of Hertzler & George’s landscape designs, visit www.hertzlerandgeorge.com.